On April 25th, 2009, at 8 p.m., 57-year-old Nazareth Berberian, a United States citizen and business executive, left his home on Amiryan Street, located in Armenia's capital city Yerevan and has not been seen since. Yerevan city police have informed the press that they have no concrete leads regarding Mr. Berberian's mysterious disappearance. City Police officials did note, however, that a criminal case has been initiated regarding the disappearance of Mr. Berberian. 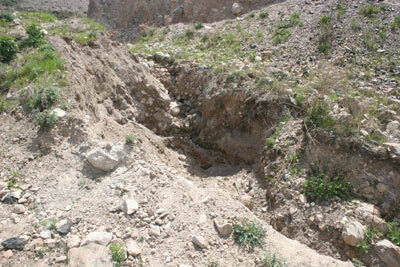 The investigation is being implemented based on Article 104, Part 1, of the Republic of Armenia's criminal code; murder. Armenia's state police and security officials never confirmed or denied the initial reports the press received that Mr. Berberian's dark green Toyota Land Cruiser was discovered abandoned near Armenia's Zvartnots International Airport. Mr. Berberian's wife and children reside in Southern California. 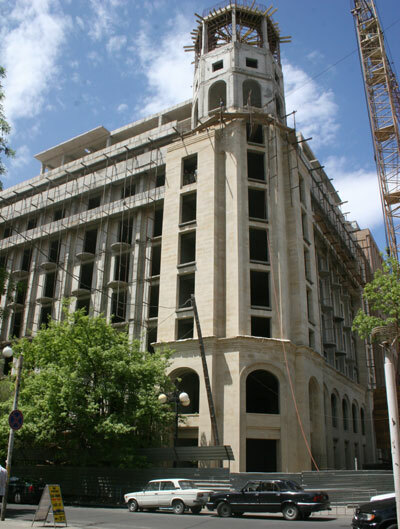 Mr. Berberian owns prime real estate property at the Abovyan-Pushkin intersection in downtown Yerevan and is currently in the process of constructing a hotel on the site under the name of the "Linareh Company". He also owns a carpet factory in the village of Dalar within the Ararat region. Friends and family have affirmed that Mr. Berberian has no known enemies and that he has been conducting business in Armenia since 1999 without any problem. A reward of $250,000 for information leading to the safe return of Mr. Berberian is being offered. Akanjd khosi Doctor Carolann Najarian. Who else is moving in and starting a business? US citizen Nazareth Berberyan, who was declared missing about a month ago, was found dead on May 15, in a roadside ditch on Yerevan-Sevan highway (25.5 km.). Traces of violence were found on his body. Yerevan Investigative Department has launched an inquest. No details are reported as to crime details or alleged criminals’ names. On May 15, 8:00 p.m., US citizen, entrepreneur Nazareth Berberyan left his apartment in Amiryan str. and never came back. Yerevan Police did not report to media any details on Berberyan’s mysterious disappearance. Neither did they give any information as to whether a criminal case was filed in that connection. It is only known that investigation is conducted based on Section 1, Article 104 of RA Criminal Code (murder). Nazareth Berberyan's car (dark green Toyota Land Cruiser) was found near Zvarthnots airport’s waiting hall. Berberyan’s family lives in the south of California State. He had an apartment in the centre of Yerevan. 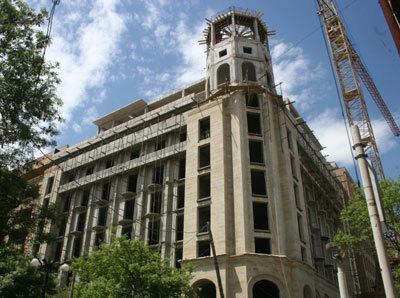 Recently, Berberyan started the construction of “Linare Company” hotel. Nazareth Berbeyan was also the owner of the carpet making factory of Ararat province, Armenia. As confirmed by the family and friends of the deceased, he didn’t have enemies. Nazareth Berberyan had his private business in Armenia since 1999.
menak mi ban chem haskanum xerdamah aneluts heto inchuy en ketamin srskel ?? I wonder if there is even one instance of a success story for a diaspora investment in Armenia without being somehow connected to the authorities. And slaughtering the cash cow with the big tststiks/katnaman. OK kill the goose, slaughter the cow, see if that goose will lay golden eggs anymore or that cow provide milk. Edited by Arpa, 15 June 2009 - 08:58 AM. I just saw this. But my family has been discussing Nazo's death for a while now. He had been doing business in Armenia since the late 70s. But not on the scale of his recent endeavors. He became very succesful in antique rug sales and renovation and built his wealth on that passion. I remember him as a permanent fixture of my childhood as he was my grandfathers apprentice in rug renovation and close friend to our family. He was a very benevolent person. The cisumstances of his death are very disheartening. 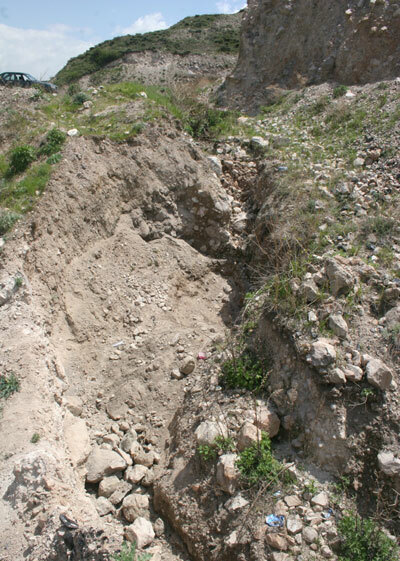 [ 2009/06/20 | 17:30 ] criminal The body found buried in a ditch alongside the Yerevan-Sevan highway on May 16, suspected to be that of American-Armenian businessman Nazaret Berberian, was verified by DNA testing that took place in the United States. This news was reported by Ara Manukyan, a representative of the Berberian family, who arrived from the United States. Mr. Berberian had gone missing after leaving his Yerevan apartment on April 25. A suspect has been arrested and charged with the murder of Mr. Berberian. Despite the fact that forensic experts in Armenia had verified the identity of the body, two friends of the deceased asked United States authorities to reconfirm the findings. it's Ironic, Heranum es HAyreniqits, veradarnum qo luman nerdnum. ognum um karrogh es, inchpes karrogh es, anothevanin tun gnum, angortsin ashxatanq talis, anhuysin huys talis..... spanvum.. yev nuynisk qo is hayreniqum baxt ches unenum gerezman unenalu..